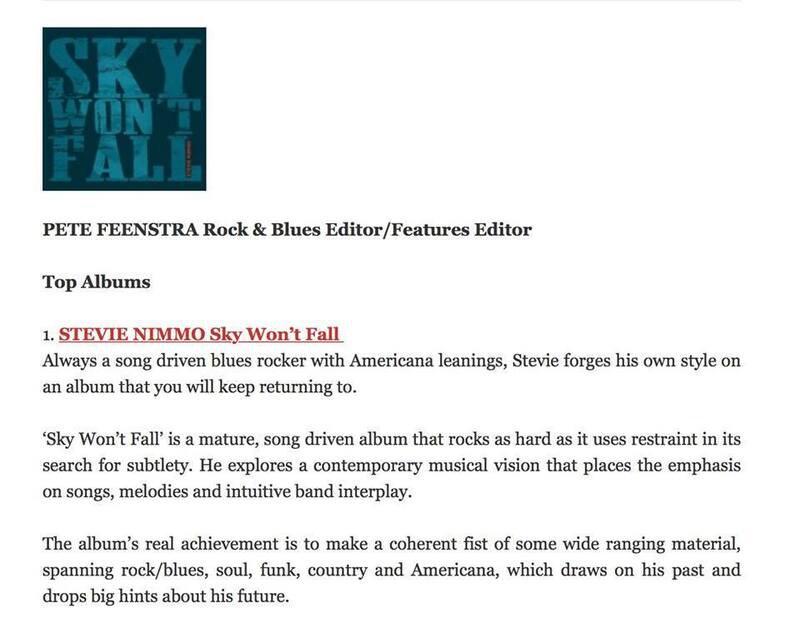 Pete Feenstra – promoter, DJ and Get Ready to Rock reviewer has made Stevie’s ‘Sky Won’t Fall’ his number one pick in his album of the year list. 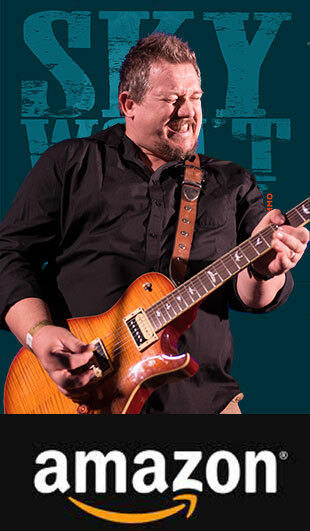 Thanks so much Pete! 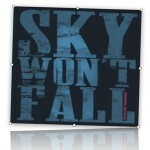 Bluebird blog reviewed ‘Sky Won’t Fall’ here and had some great things to say about it! 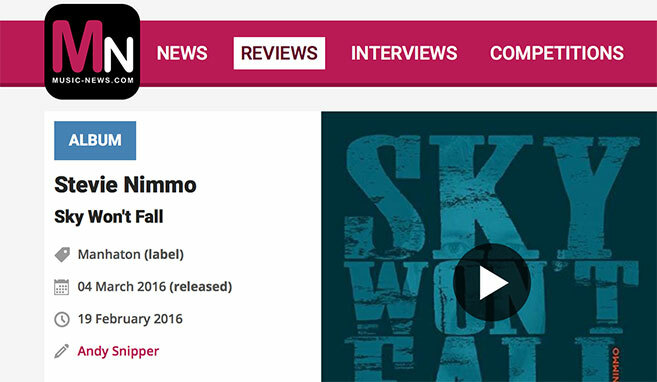 Classic Rock have selected Stevie’s track ‘Change’ from ‘Sky Won’t Fall’ to feature on the February 2016 CD cover mount. 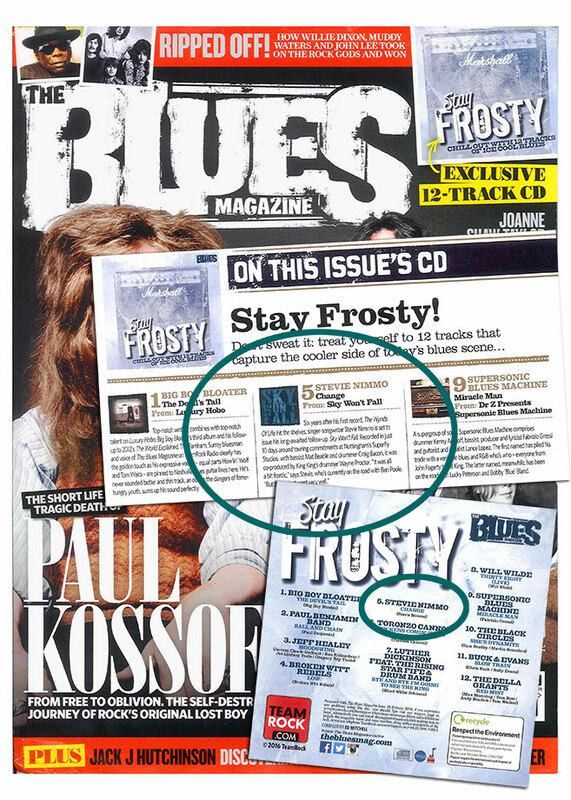 So if you want to sample the album – grab a copy of Classic Rock The Blues Magazine! 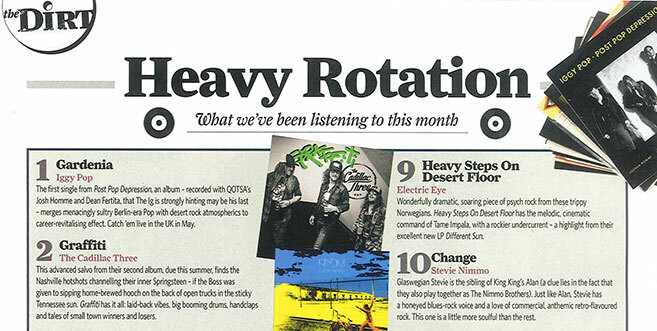 “This is one hell of an album. 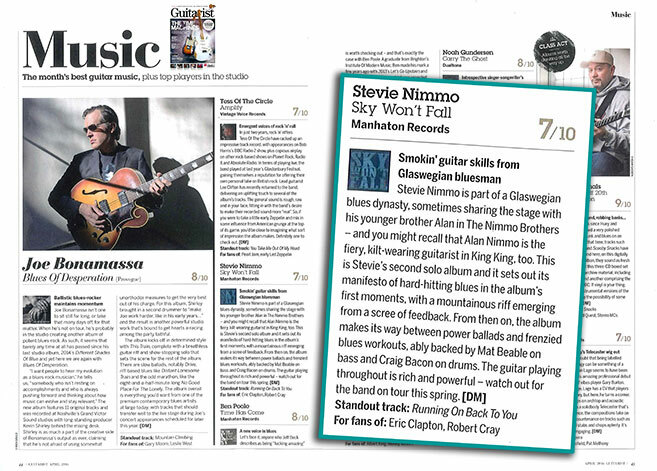 Loaded with great songs and some stunning guitar from Stevie alongside his soulful bellow, this is an absolute belter.There isn’t weak track on the album but ‘Gambler’s Roll’ is probably the one I’ll come back to time and again. 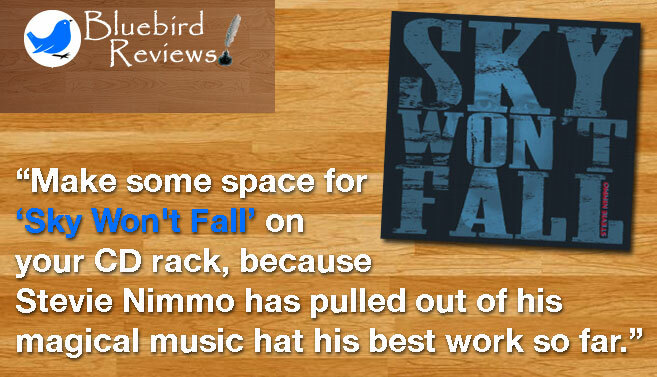 Stevie Nimmo is, IMO, one of the best unsung players in the UK at the moment. 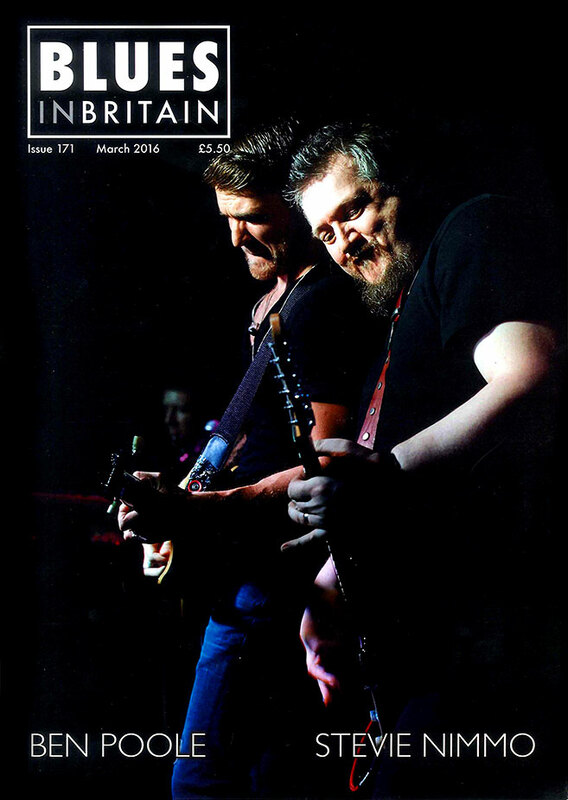 Put him alongside the Laurence Jones, Dan Patlanskys or even Alan Nimmo and he definitely holds his own. 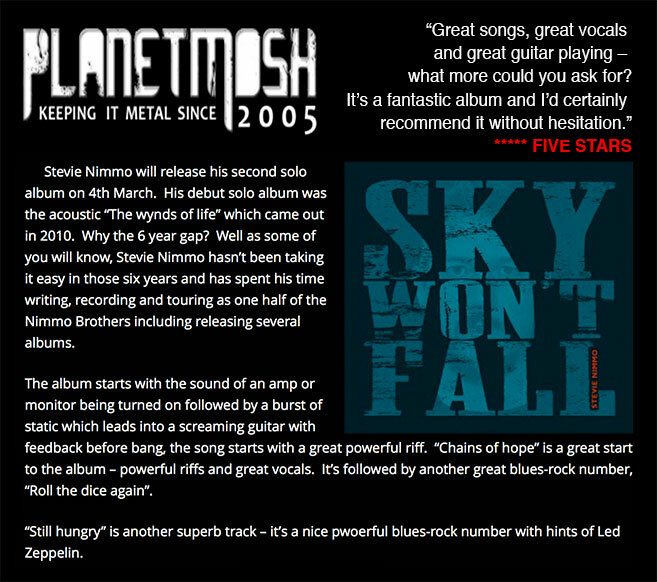 “The vocals on the album are nothing short of superb and Stevie has an incredibly strong confident voice which is difficult not to like.